Wherever you are moving in the Southern California area, Sav On Moving & Storage can help. We serve the following areas and all surrounding areas in San Diego, Riverside, and Ocean Counties. Sav On Moving & Storage consistently shines above and beyond the competition with award winning San Diego mover service and expert customer care. Sav On Moving & Storage are the Santa Barbara Movers with the proven expertise to meet your unique moving needs in a timely, safe and affordable manner. Sav On Moving & Storage has the expert move planning and experienced staff to deliver your Los Angeles move safely and affordably — ensuring the best possible value from a Los Angeles Mover. As your Corona Movers of choice, we know that every move is unique. At Sav On, we take the time to know you and your moving needs and offer real peace of mind as you prepare to move to your new home. Sav On is the family owned and operated Chula Vista moving company with expert knowledge, experience, and an impeccable reputation that stands out among Chula Vista movers. We trust you will find Sav On Moving & Storage to be the Moreno Valley mover that local residents and businesses call on time and time again for all their moving and storage needs. As the affordable Ontario moving company, only Sav On Moving & Storage can provide special programs and discounts for Senior Citizens, the Military and AAA members. Sav On Moving & Storage is the trusted expert Oceanside mover. 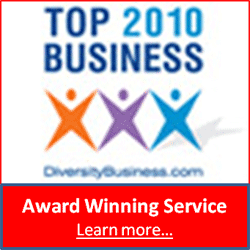 We create customers for life because of our top quality moving and storage services. We stand by their faith in us pride. Sav On is your experienced Anaheim mover that you can trust to deliver a stress-free affordable move. Sav On Moving & Storage is the Escondido mover that residents and businesses call on time and time again for all their moving and storage needs. As your expert Carlsbad moving company, Sav On will take the time to know you and your needs and offer real peace of mind as you prepare to move to your new home. Sav On is your Murrieta mover when you want an expert mover that can deliver a stress-free affordable move. Temecula movers choose Sav On Moving & Storage for all their moving and storage needs. Sav On Moving & Storage can manage any San Marcos move — local,long distance or international moves, as well as provide for all of your San Marcos storage needs. Sav On Moving & Storage stands out among Riverside movers and consistently shines above and beyond the competition. Sav On Moving & Storage is a proud El Cajon mover offering the very best in relocation services. Sav On Moving & Storage would love to add you to their list of satisfied Fullerton moving customers! Sav On is your Vista mover ready to deliver your expert affordable move! Sav On is your award winning Jurupa Valley moving company with a strong track record in customer satisfaction for all of your moving and storage needs. Sav On Moving & Storage is the Hemet moving company with the ProMover certification! 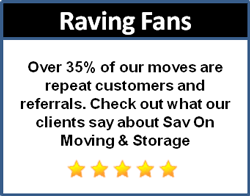 Customers report that Sav On Moving & Storage are the movers in Encinitas who deliver satisfaction. Looking for a National City moving company? Sav On Moving & Storage has all the right credentials. Sav On Moving & Storage is the La Mesa mover with the experience and expertise to deliver your stress-free move. When considering Santee moving companies, look to Sav On Moving & Storage for exceptional move service. Sav On Moving & Storage has received consistent recognition as the Award winning local Cathedral City mover. Sav On Moving & Storage wants to add another satisfied Palm Desert move customer to our growing list.